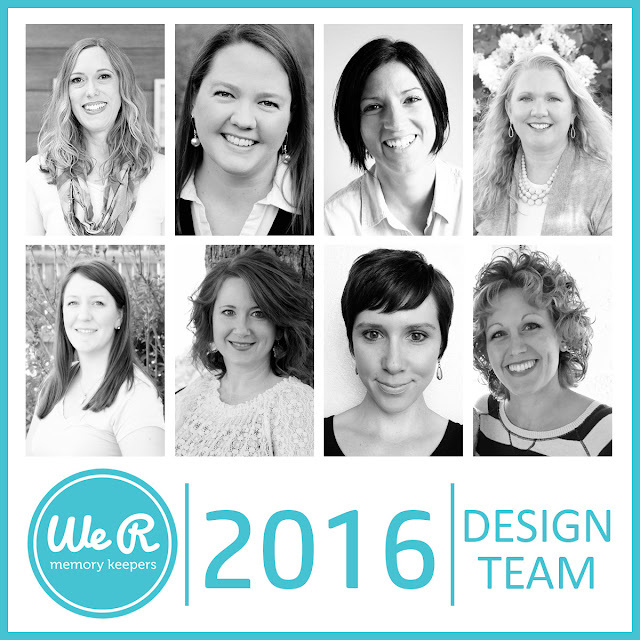 Five years ago my relationship with We R Memory Keepers began when they announced their very first open design team call. We had just moved to Utah and our home was about 15 minutes away from their headquarters. I didn't know much about the company, but I knew I loved the few paper collections I had worked with, and that their Cinch tool was awesome. I decided to throw my hat into the ring and apply for the design team. I was thrilled to find out that my application had been accepted! After designing catalog, marketing, and HSN projects for them for several months I came to realize that We R would benefit greatly from having a blog, and I knew that I wanted to be the one to write it. I came up with a proposal and sent it to Tavnir Carey, the now Vice President of Product Development at American Crafts. He agreed to think it over, and after about a year (and a few changes in the company) I was asked to get a blog up and running for We R Memory Keepers. Admittedly it was a learning process for all of us, trying to come up with the right projects, the right look, and the right balance on the blog. But things evolved, the company changed some more, a new design team was called, and the blog has become such a fabulous source for crafting inspiration, as well as a part of my creative self that I am truly grateful for and feel so blessed to have in my life. I'm beyond thrilled to announce that I have the privilege of continuing this year as lead designer and blog hostess for We R Memory Keepers. I'll also continue to share project videos on their YouTube channel, which is something I really enjoy and that I hope you all find helpful. I'm so excited about the crafters who will be joining me this year--they are some seriously talented (and very nice) ladies. You're going to love what they have in store for you! Be sure to read the official announcement on the We R blog HERE to find out who these wonderful girls are, and come back often over the next week as we share more details about each team member. I'm so very grateful I get to do what I love everyday, and that I get to share it with all of you! Thanks for being a part of my crafty adventure friends. Life is good. Congrats Aly!!! So happy to see you're staying! What an awesome team! Can't wait to see what you'll all do!